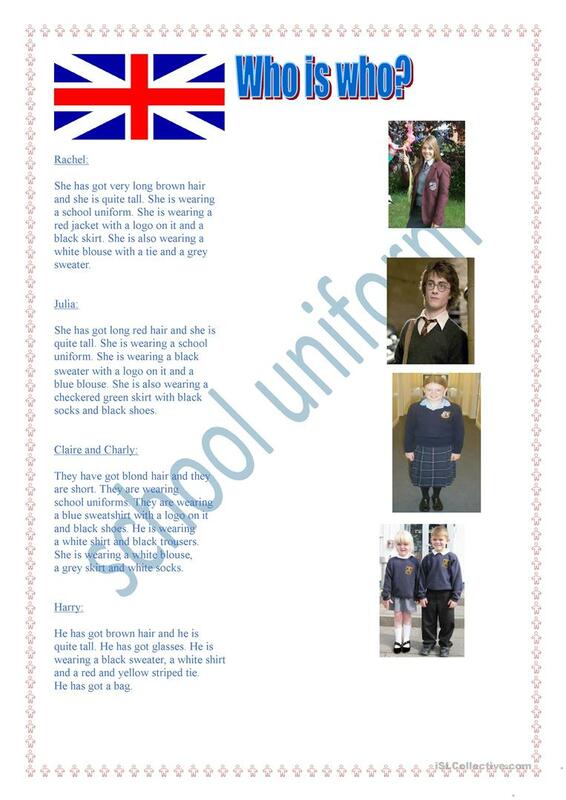 This is a worksheet about "school uniforms" in the United Kingdom. First students read the short texts then they match each description with the correct picture. 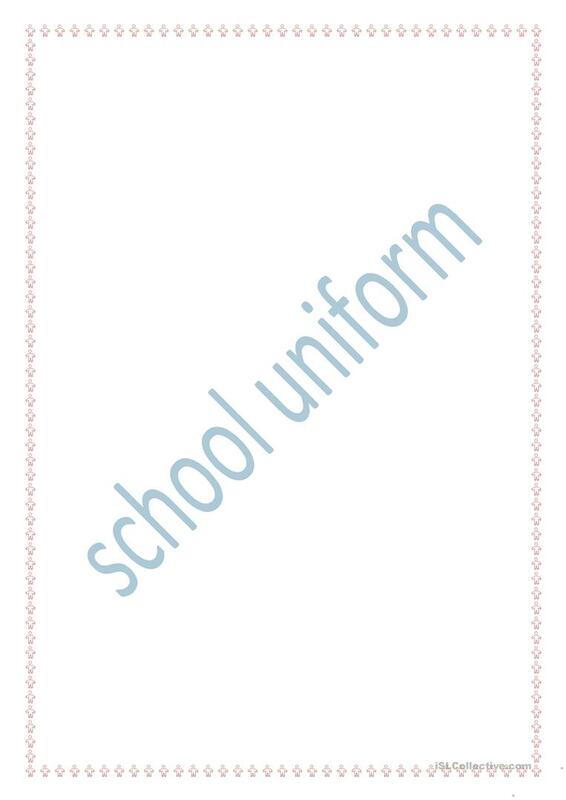 The above downloadable handout is best suited for elementary school students at Elementary (A1) and Pre-intermediate (A2) level. It is aimed at teaching Present simple vs continuous (progressive) tense in English. It centers around the topic and words of School.